sacred moments unfolding us together through 2006 when the higher consciousness is gathering momentum collectively. this sacred full moon, the guru purnima to a yogi is the eternal birthday day.july 10 2006, monday. a day to celebrate the highest conscious energy realm that guides each breath. it is the day to receive grace as much as the guru above receives and in allowing the flow through the joys of celebrating this day. the day when the yogi can be the vast void surrender to the light that is the human form master and those beyond that guru’s gurus – as transcended human form, spirit in being. the vastness of being absolute fits well to transcend human realm in the sacred acknowledgement. thoughts for this wonderful day rolling towards us, for our inner call and the sacred breath. 1. yoga teachers seeking teachers and the teacher, the guru is the power behind the mantra. respects and love to each expressed in human reality since we are in the human and the the sacred human awakening, the spirit of one. 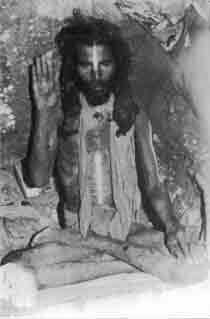 2. empowered mantra the joy of the guru and the grace flowing to fulfill the circle of the ancient lineage. its the day of empowering the sacred resonance as in the radiant overflowing presence. time at its blossom. 3. the vastness of receiving in the human realm as the sacred prasad, the divine gift as the purpose and the joy shared. vast fields of harvest from seeds of the moment of now that carries past and the present of duality in the inhale of each entwinned breath and in the retention of breath, the farmer manifesting the spring of inspiration to be one and in the exhale, becoming. 4. the awakened is the arivan, the knower . the knower is beyond breath. this sacred breath is ‘vasi’, the secret siddhar pathway. its the grace of the guru received to unfold this path of light. the path of light as pure joy in enjoying the two sides of the breath- the limited as in the human realm that allows the evolving transforming energies and the eternal breath as that of pure being. 5. the inner nada, the kundalini dance awakened in its ascendance is the guru. our worship to her, the yoni that alights the heart as the mother and child and then as fulfilling grace. in the momentum lifting us above the navel when the muladhara fire has matured above the navel to conquer the body’s element. 6. in the dance of the kundalini is the guru, rising to be the light in the third eye that has consumed our darkness. above in this third eye pirch between the eyebrows in the delightful consumer, the dissolver, the absorber…. pure bliss in shape having become. acknowledging the sacred feet of the guru above at the sahsrara at all times- may we be blessed in the humiility to always be respectful of the brilliance of knowing and the dharma of each thought seeking to evolve in love having become. adiyen, in the sacred joys of sharing breath!